Our best advertising comes from the people we have helped to recover from fire, flood, hail, wind and mold damage. 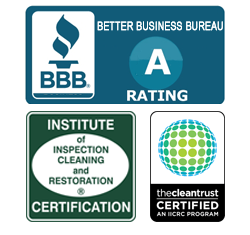 Read about their experience with Aaron’s Restoration’s experts, and decide for yourself who you will trust to repair and restore your home or business. When disaster strikes in Michigan, Ohio or across the Upper Midwest, make Aaron’s Restoration your first call for clean up and recovery. Call 888-442-2766.